Why blend in with the crowd? The right hairstyle can help you look your best, compliment your face shape, and let you showcase your creative side! So, get ready to add some hipster flair to your style. This subculture has been around for years – but its unique sensibilities continue to inspire bold and exciting hairdos today. Forget about typical or expected. 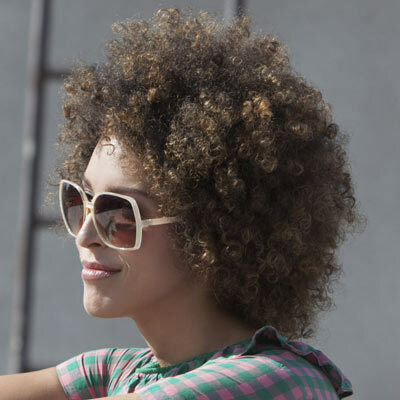 These 4 hipster hairstyles for curly hair 2014 will give your look all the originality you’re after. To infuse your short style with hipster elements, perfect the art of carelessness. You want your hair to look slightly untamed and a little left of center. One great example is the curly mohawk. This style blends short and long together by keeping the sides closely shaved and the top section full of big curls. This style shouldn’t look prim and proper. You want it to be a total explosion of curls! Ask your hairstylist to shave the back and sides of your head and leave the top of your hair longer. It should still be short – but not short enough to lose all of those curls. When styling, scrunch through some curl boosting mousse to add definition and extra hold. Still haven’t found the right hipster hairstyle for your short hair? Don’t worry – this next look may be right up your alley. Asymmetrical styles compliment shorter dos’…especially curly ones! To get the look, keep your hair shorter throughout but keep one side noticeably longer. The asymmetrical length and your curls will create tons of gorgeous contrast! Take inspiration from celebs like Victoria Beckham, Rihanna, and Kina Grannis – but put your own unique twist on the look. Rocking an asymmetrical style lets you have fun and play with symmetry. Plus, this short curly look is daring and allows you to express your artistic side. Embracing your natural curls is always a good look. Instead of trying to tame all of that volume and height – make the most of it! 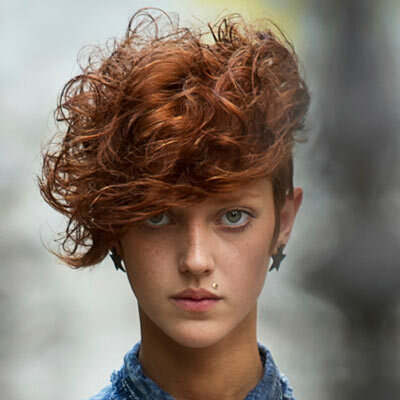 Short voluminous curls can give your hair that hipster look, while taking your natural texture to the next level. When you get out of the shower, spray in a leave-in conditioner and let it air dry. This will give your hair plenty of moisture. Once your locks are totally dry, use a small amount of gel or mousse and scrunch it through your hair. (Using these products on dry hair will give you volume galore!) Create a rounded shape with plenty of curls and even more height. The bigger, the better! Do you miss your school days? Well, you can leave the lockers and uniforms behind you…but still get inspired by hairstyles of old. Short brushed through curls are ideal for people that have thick hair with lots of waves and curls. To get the look, ask for a tapered cut at the back – but be sure to keep all of that thickness on top. With so much hair to work with, you can brush through your curls to create a messy, laid-back style in minutes. Flip out the ends with pomade and work the product through for extra staying power. Don’t settle for run-of-the-mill hair. 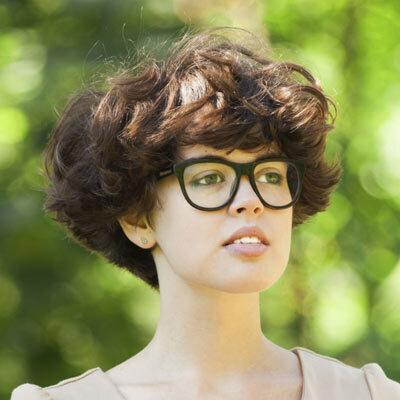 You can always stand out by wearing one of these 4 hipster short hairstyles for curly hair 2014. With short locks and gorgeous curls on full display, you’ll be anything but ordinary.